Throughout the year, many individuals, businesses or organizations host events to benefit AFH or the community. These events vary from gallery openings to fashion shows to musical performances to galas. If you're interested in making AFH a beneficiary of your event, please email Third Party Events. This amazing event features Fashion by Nicholas Phat Nguyen, Art by Patti Lenon-Potter, and Live Performances by Kiki Van Wells, and Khloe T. Crawford! Visit #theredproduction Facebook event page TODAY for your tickets! #theredproduction is 100% underwritten, so all funds raised benefit AFH! 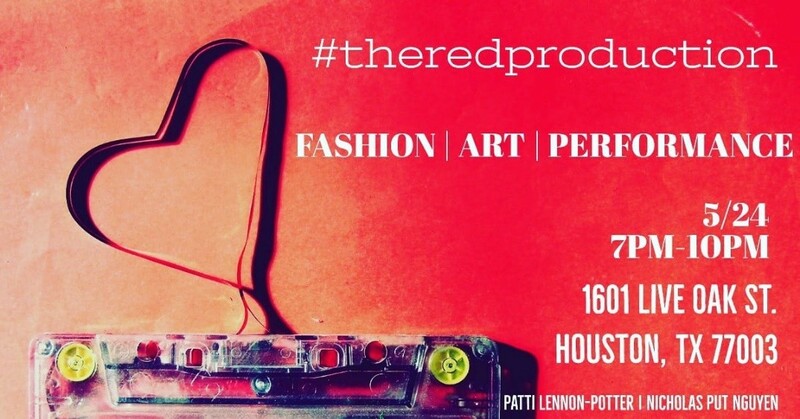 #theredproduction is a non-profit organization dedicated to those battling HIV/AIDS in the great city of Houston. They partner with amazing local artists and fashion designers to produce a one-of-a-kind interactive event with live-performances. All of these events benefit AIDS Foundation Houston!